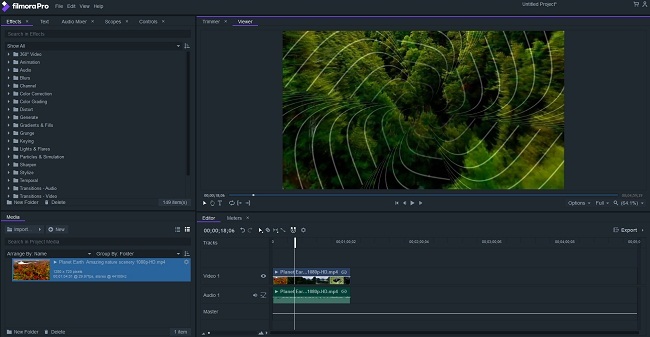 Wondershare FilmoraPro Review: Is It the Most Advanced Video Editor? And if you’re a creator that is chasing this perfection, then boy do we have the right tool for you here today. A video editor that will undoubtedly allow your creativity to run free with the perfect set of tools to enable you to archive precisely what your heart truly desires from your project. We could tease you on and on with features, but we’d somewhat straight up tell you what exactly we’re talking about here today and then move into taking a more in-depth look at all the available features. The video editor in the question, of course, if the FilmoraPro Video Editor, something that has been in the market for a while but seems always to get pushed over by the big guys like Vegas Pro or Adobe After Effects. And what do we feel about that? Well, we certainly believe that FilmoraPro is in no way punching above its weight and deserves a big shout out for the job it is doing out there in the Video editing business. Now without further ado, let us look into the features that FilmoraPro comes in with. FilmoraPro allows users to be more versatile with their edits by allowing a magnetic timeline that allows unlimited tracks. Be it audio or video. Unlike other editors where one is restricted to a limited number of records, FilmoraPro gives creators the full power to well, create! Other timeline features include grouped clips, range markers, splitting clips and editing and much more. With FilmoraPro you get to play around with your audio like never before. With features like audio sync, compression, noise reduction and audio transitions one truly gets complete control over how their piece of art will look and play out when full. Everyone loves some beautiful motion graphics, and with FilmoraPro one can create some of the best-looking motion graphics for both text and graphics. Something to make your animations look more realistic is the ease in and ease out a tool that helps one make smoother animation transitions. Spice it up; Hollywood style! With FilmoraPro you also gain access to a vast library of customizable visual effects that you can put into your creation. Stuff like chroma keys, lens flares, blur and distortion effects gives one a lot of options when trying to make the perfect shot. FilmoraPro also has a bunch of color transform tools like color wheels, scopes, and controls for highlights, mid-tones, and shadows. All these help you make your image look that extra bit special. FilmoraPro is currently available for download on Windows and Mac, and one can certainly say that it provides a bang for the back with the quality of product that is being delivered to us. That being said, we would recommend you to try out FilmoraPro if you’re looking for a new video editor!